A few days ago, Belgium dethroned Iraq as the country that has gone the longest without forming a government after an election. Ceasefire correspondent Emily Macintosh reports on how the country faces the real prospect of breaking apart. But regardless, the political crisis has filled the pages of Le Soir and De Morgen for the past year, and it might not be much of an exaggeration to say that the only way to distinguish a newspaper picked up last November or July from a paper printed now at the beginning of April 2011 would be the international news or the weather reports. Under Belgium’s system of proportional representation, the parties were tasked with forming a government following elections on 13 June 2010, yet they have failed to come to any agreement and don’t appear to be any closer to doing so, making the prospect of further elections likely. The major point of dispute being whether Belgium should in fact exist as a country at all. The problem is that Belgium is a country made up of three administrative regions, in the south there is Wallonia, which is made up of a predominantly French speaking community and a smaller German speaking one, and in the north there is Flemish speaking (a dialect of Dutch) Flanders. 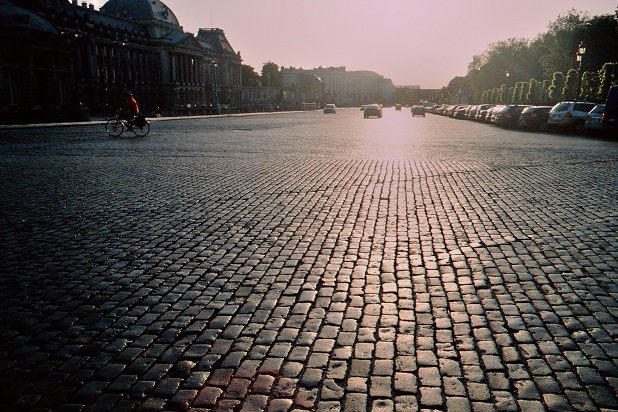 The third region is the Brussels Capital Region which geographically speaking is a bilingual enclave situated in Flanders. Much responsibility and a large number of competencies have ceded from the national level to the regional and community levels over the last 40 years, and the importance of the national parliament has significantly diminished. The regions have power over urbanism, environment, the economy, public works, transport and external commerce and the communities are in charge of education, language, culture and some social services. The national level retains responsibility for Belgian’s huge public debt, defence, foreign affairs, social security and the functioning of the labour market, income tax and the criminal court system. There is a strong feeling among Flemish parties, and in particular the nationalist N-VA (New Flemish Alliance) who want an independent Flanders, that more of these competencies should be transferred to the regions. In the elections the N-VA secured a sweeping victory in Flanders and ever since the party leader Bart De Wever has been in talks with Elio Di Rupo, leader of the second biggest party in Belgium; the French speaking Parti Socialiste (PS) who gained the largest percentage of the vote in Wallonia. 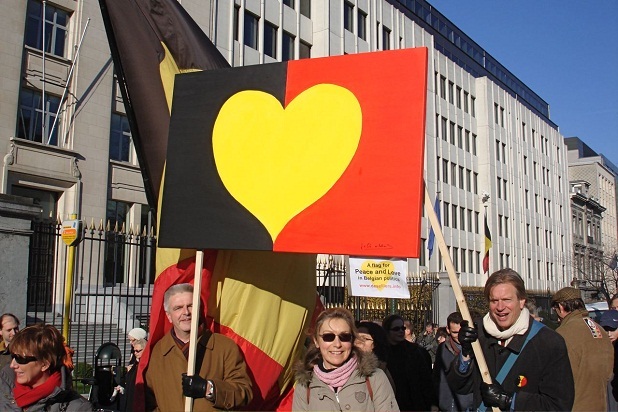 Flemish politicians want changes to the constitution to give more rights to the regional and language communities and to reduce the transfer of funds from north to south, after resentment has grown over the level of government subsidies supporting Wallonia. Yet on the surface it is language that appears to be the real dividing factor in Belgium, an issue which cannot be understated; if you walk into a shop speaking French in Ghent in Flanders for example, you might receive an icy reception. Language use on official signs and announcements in bilingual Brussels is also carefully balanced not to favour one language over the other. One of the main reasons that the government has continued to fall apart over the last few years is because of the electoral district Bruxelles-Hal-Vilvoorde (BHV). The problem is that the electoral district that encompasses Brussels is much bigger than Brussels itself as it also has parts of Flanders in it. In short, the debacle centres around the fact that a French-speaker living in a neighbourhood in the officially monolingual Flemish Region of BHV can still continue to vote for French speaking Brussels candidates, yet a Flemish speaker who moves into the monolingual Walloon Region loses their right to vote for Flemish candidates in either Flanders or Brussels where Dutch is an official language. The Flemish parties therefore want the electoral district to be equal to the regions, and the French want to keep the system as it is. Another issue is the question surrounding what would happen to Brussels in the event of the break-up of Belgium. Brussels, being somewhat awkwardly geographically located within Flanders, is often given the role of the child in the metaphor of two divorcing parents. There is even talk of Brussels becoming a sort of principality; a stateless nation home to the EU institutions. To outsiders the Belgian question is difficult to fathom, do successive governments really continue to fall down over what appears to be a constituency boundary issue? However, in a 2008 lecture titled ‘The end of Belgium?’, Christophe Crombez from the University of Leuven dismissed the importance placed on this issue. Indeed, the linguistic conflict and all its accompanying quips serves as fuel for political rhetoric and distracts from issues like inequality and rising unemployment. And as the parties continue to talk and attempt to come to a consensus, the previous government are still carrying out a caretaker function. Despite handing in his resignation to the King last spring, the former Prime Minister Yves Leterme remains the ‘caretaker’ Prime Minister of Belgium, who within the last year has presided over the Belgian Presidency of the EU and taken the decision to send six F-16’s to Libya as part of the rapid military intervention imposed on Libya by the West – quite a lot for someone who is supposed to be watering the plants and feeding the cats. So while the political haggling and seesaw narrative continues, the caretaker government are still in place, and the real issues surrounding Belgium are clouded in issues over whether you should speak in French or Dutch in small towns in the Belgian countryside. As the EU continues to set out employment strategies that focus on structural employment – through the Europe 2020 Strategy and initiatives like Youth on the Move, the emphasis is put on putting the right people where the right jobs for them are and encouraging a fluid European workforce to move physically for jobs or to gain the right skills for jobs through training programmes. The issue of cyclical unemployment – i.e. not enough jobs for the amount of people due to a decline in the demand for goods and services, is not addressed. Bickering over petty language debates, hides real issues like these. Furthermore, it seems likely that all the main Belgian political parties would support and implement austerity measures in line with those already seen in other European countries, regardless of the form, whether in an independent Flanders or as a unified Belgian state. There have been demonstrations under the banner ‘Shame’ calling for the formation of a government and an end to the talks, yet it seems unlikely that any future government formed will move far from the established script of Belgian politics. The Belgian political system is complex and convoluted. Tony Judt described it as an “uneven quilt of overlapping and duplicating authorities”. The confusion has also led to a climate blighted by corruption, most famously within the French speaking PS. With all this disagreement and with so much power already devolved, in many ways the break-up of Belgium makes sense. But the cost in administrative terms would be huge and there is a high risk that an independent Flanders would take a huge leap to the right, especially given the rise in popularity of the far right party Vlamms Belang in Flanders at the last elections. States seeking independence should be those breaking away from oppressive regimes, those who are reacting against a government. Seeking independence with the aim of constructing more internal borders and divisions within peaceful European countries seems futile and illogical, particularly when the main reason behind any split would boil down to linguistic bickering among politicians. Something as special as linguistic diversity and a flair for communicating in several tongues should be celebrated, rather than used to mask more pressing issues like inequality and unemployment. « Previous: Politics | War criminal? Welcome to the UK! Thanks Emily for this insight… I’ll be totally honest with you, prior to reading your article I had no clue about what’s going on there apart from the fact that politicians are bickering and there’s no government. I mean every time I read a headline with ‘Belgium’ in the title I turn over… Not today! Because of the boredom I’m suffering I didn’t care what I read. Thanks for relieving my condition, I really enjoyed your article.